Chemical-less No-till: A realistic goal? Many people envision their farm becoming a chemical free or reduced chemical no-till system, but can’t quite figure out what that looks like, including weed suppression, controlling the previous crop, and getting all the inputs in the field. Spoiler alert – there is no easy answer about how to put continuous no-till without chemicals into practice. The most realistic solution is a compromise, where we use the conservation tools suited for an organic setting to limit tillage as much as possible, while reaping many of the rewards typically associated with no-till. The most important consideration in no-till systems is the transition between crops – specifically, terminating one crop (or heavily suppressing it) and managing its weeds when transitioning into the next. For annual crops this is more easily attainable. When an annual grass crop produces a seed or grain head, or a legume reaches full bloom, this is the point at which it will no longer be able to bounce back fully when mowed or rolled down. Because perennials continue their lifecycle even after heading or bloom, they need to be chemically burned down with an herbicide or completely plowed under as a green manure to terminate. Mechanical means like light tillage, mowing, or rolling/crimping is not enough to permanently kill perennials. Sometimes we can handle this transition period with a relay cropping system – using various tools to interseed or overseed a new crop into one that continues to grow, and likely completes its lifecycle before crop #2. But at some point – especially in perennial pastures - we have to be able to do a full renovation and start fresh, with a clean seedbed and balanced soil. The moral of the story: No-till practices in chemical-free settings end up looking more like “rotational no-till”. Because so few weed control tactics are at your disposal, you will find that you have to resort to some tillage at least once every few seasons to deal with weeds, previous crops, or crop residues. After one harvest or cover crop termination, weeds will have to be dealt with for an effective stand of the following crop. In recent years, the roller-crimper has become the tool of choice for the reduced chemical or chemical-free farmer with no-till aspirations. No-till mechanical suppression of a cover crop is possible in select few situations – at full head emergence with pollen shed in cereal grains (anthesis), or at least 75 percent bloom in legumes. The roller-crimper is one of the most effective ways to do this at cover crop maturity, because it creates a surface mulch while keeping the cover rooted – that way, no loose residue can be dragged, clumped, or clogged in the planter. Once rolled, this residue is much more persistent on the ground as a weed suppressing mat throughout the season. With a roller attachment on the front of the planter, suppression and planting can be accomplished in one pass. This technique can be tricky because you are entirely dependent on the cover crop’s biomass for weed suppression (including perennial weeds), and it takes about 3 tons of dry matter biomass to get reliable weed suppression. There are a variety of adaptations to the original large front mounted roller cylinder with metal flanges branching off at an angle to crimp cover crop stems – including the “Charlie Martin rollers” made by Charles Martin of Loysville, PA, that are mounted between the row units on a corn planter. As with any no-till operation, planting and growing in residue are second only to weed suppression in the challenges they present. Residues lying on the soil surface keep the ground cooler, which can delay germination and slow down growth – as well as sheltering harmful pests like slugs. One technique in the absence of a crimper-roller is to “scalp” the cover crop once it reaches that late maturity stage when it has little danger of growing back. Leaving those loose residues on the surface can help provide a mulch cover, but won’t have the benefit of the roots anchoring the material in place. This leaves it vulnerable to getting gathered up and pushed around by and tangled with the planter. Loose residue lying around at all different orientations (instead of the single direction produced by the roller) can also get pinned in the seed furrow and interfere with seed to soil contact. Equipment with good row-cleaners can be a great help here. Beware of this termination technique with perennial crops (unless you plan to do full tillage to invert the sod completely). Mowing or grazing down to the ground certainly shocks the plants back, but they do eventually bounce back somewhat. The trick is to get the new crop – annual or perennial – drilled into the sod with a no-till drill and up out of the ground ahead of its latent competition. The best time for this is late summer because few aggressive weeds are germinating, and it’s often the time when summer dry spells begin to break and heavy dews set in. If you want to try planting in the spring, you can set up the timing for the close mowing or grazing in the preceding late fall. Just don’t make the mistake of thinking that your perennial stand will not eventually come back and be competitive. 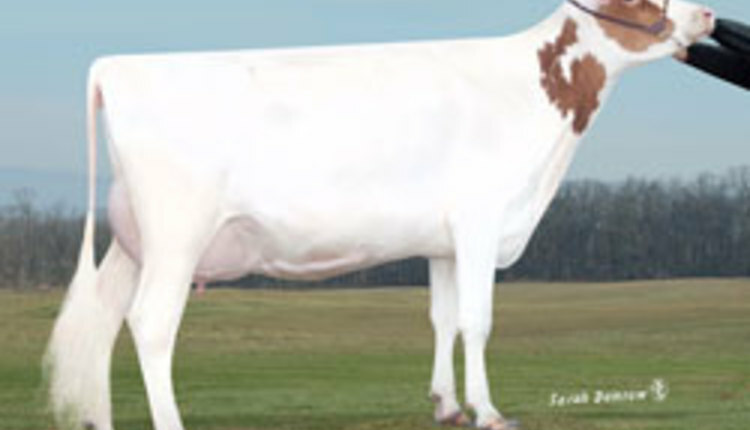 After seeding, you can turn out the cows and use hoof traffic to get the seed worked in. Whatever interseeding technique you choose, it can prolong a perennial stand’s useful life with intentionally placed species in a relay timeline, but stop and take a hard look at why a stand might be thinning or weedy – it’s likely that soil pH and fertility need to be rebalanced so the proper species can fill in and persist. Also take a look at your cutting or grazing management and make sure you are leaving at least 3-4 inches of residual – if it’s any lower, many grasses will not persist. Whether it’s the main event or the cover crop, it should be planted on time and at the high end of the seeding rate range. The higher seeding rate helps overcome the planting challenges that come with no-till, and at the same time expedite ground cover and canopy just from the sheer number of plants. Especially in chemical-free no-till, the new seedlings have to be competitive from the start with existing plants or residue. A cross-hatch planting pattern can also spatially improve ground cover from the outset – just halve the planting rate on the first pass, and go back over in the perpendicular direction at the same rate. In the real world, no-till is a spectrum. Even when you find that continuous no-till is not feasible, there are many opportunities for reduced tillage – such as strip-till, ridge-till, and shallow tillage. Minimizing soil disturbance can still help build soil structure and preserve organic matter, while keeping the weed seed bank in check. Building a system where tillage events are fewer and farther between is a good thing – the less you can till, the more soil life and soil carbon you can support. One tillage event does not put you at risk of burning up all your soil carbon. Is no-till right for me? Since the cover crop will be the main form of weed control, it has to be done right – at the right seeding rate, and drilling usually produces a more consistent, successful stand than broadcasting. The best stage to terminate a small grain cover crop is at anthesis (flowering). Anthers will be visible as pollen sheds. Find compatibility between the cover crop and cash crop. They should not be in the same family, i.e. don’t put a small grain cover crop with a small grain cash crop. 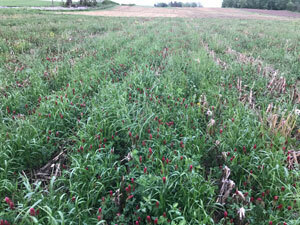 A heavy nitrogen feeder like corn will benefit from an N-fixing legume cover crop. When interseeding, whether drilling into a perennial stand or using an InterSeeder drill to establish a cover crop in standing corn, look for shade-tolerant species, such as clovers, ryegrasses, festulolium, and orchardgrass. Too much residue can tie up nitrogen. Residue decomposition and nutrient release should match plant needs. When establishing a new pasture, it’s better to plow and prepare a clean seedbed. Monitor maturity stage closely so your cover crops aren’t allowed set seed. When planting into a rolled mulch or other residue, your best success will be with transplants or large seeded crops like corn, soybeans, potatoes, etc. Large seeds come with a bigger energy package to help the seedling push up through mulch. Understand that heavy, clay soils are slow to warm up.